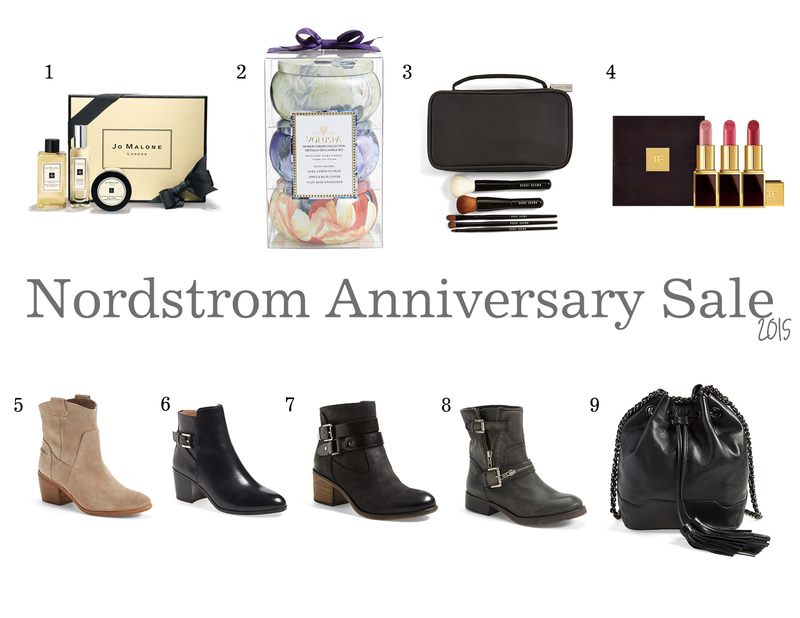 It’s that time of the year again, the Nordstrom Anniversary Sale is officially upon us! Early Access started last week and today the sale is officially open to everyone! I already got the Jo Malone set during the Early Access Sale, but still have a long list of things on my wish list. Below are some of my picks that I’m currently lusting over. Happy shopping everyone! I’ve been wanting to get a Jo Malone Perfume but couldn’t for the life of me make up my mind. When I tried this set in store, I immediately fell in love with the scent, but I didn’t purchase it on the spot because I wanted to make sure I’ll still love it overtime. I took home the little paper I sprayed it on and left it on the end table by my bed, after a few days I can still smell the lovely scent when I lay in bed and I still love it just as much as when I first smelled it fresh out of the bottle, I knew then that it was the one. This candle set was recommended to me by the Nordstrom lady that walked me through the Early Access Sale section. I’ve always found their packaging adorable, but never smelled them before. There are 2 sets available during this sale and each comes with their own scent family. My personal favorite is the floral scent set, as it’s not harsh on the nose and smells very comforting to me, but both are lovely and the tins would be a great addition to your home/apartment decor. As any makeup lovers would tell you, Bobbi Brown have amazing brushes. This set includes one of the most coveted brushes – Full Coverage Face Brush, along with 4 other brushes is truly a steal (all full size, amazing). For those of you who’s been wanting to try out her brushes but couldn’t justify the hefty price tag, this is definitely the best bang for your buck set. Feel like splurging on some lipsticks? This is a gorgeous set with 3 different beautiful shades. I’ve actually never owned a Tom Ford lipstick and personally would like to try them since I’ve heard so many good things about them. This set is a great value especially if you don’t have the colors included in the set already. Great for those who’re just beginning their Tom Ford journey. Booties will forever be my favorite style shoes to wear. I love this light taupe color and also think the pull on style could be nice (although depending on the shoes). But like all shoes, I would say always try it on first before committing. Good thing that Nordstrom has amazing return policy, so if you can’t find your size in store, you can always order them and try them on at home. A pair of very polished, put together black booties is a must for all girls. I love how clean and simple the design is, making it the perfect pair of boots to go with every outfit from office to a night out. A more casual pair of black booties with wood tone heels. Unlike the all black booties which looks more serious and edgy, this pair would work best with more causal, everyday outfits. This style comes in 3 different colors, I also really like the brown pair which reminds me a lot of the Hudson Horrigan booties. Remember a long time ago I mentioned that my go to pair of flat, pull on booties is on its way out? Well I still have yet to find another pair to replace it. Nothing I’ve seen or tried on makes me feel comfortable enough to replace them, and now the inner lining is seriously hanging on by a thread… This pair reminds me a lot of them, with a little extra bling added on. I think I’ll have to try them on in person before I can decide if they would be good enough to replace my old ones. But style wise they’re definitely close! I love the Voluspa candles, especially the Saijo Persimmon that comes in the other set. My friend was looking at the Rebecca Minkoff bucket bag as well — it’s indeed very cute! Hope you’re able to get some of these items before the sale is over!